PHOTOS: In the event of a motor vehicle accident with pinned patients, Lakewood is lucky enough to have ready, able and available hands to help out. On Sunday, the Lakewood First Aid squad held an extrication drill for the training in of new members, as well as for the continued training of the current members. 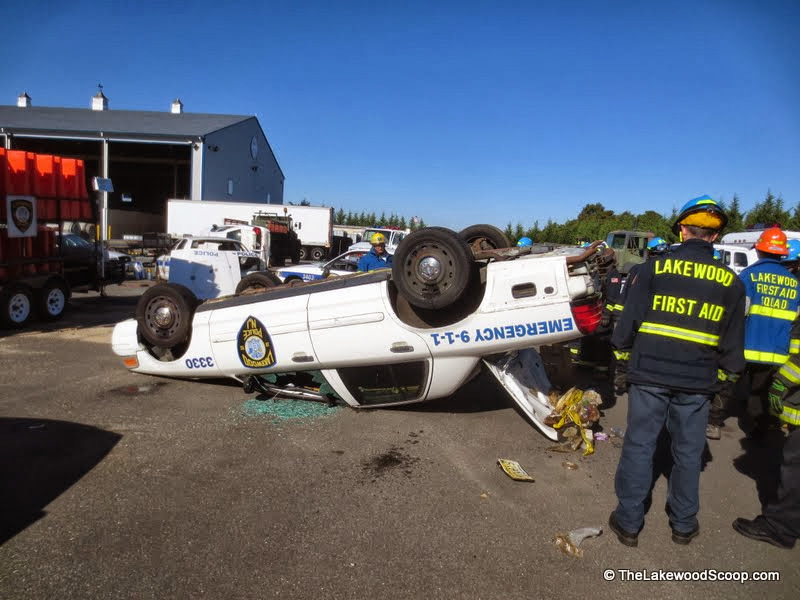 The drill at the DPW yard, gave the members a hands-on training of cutting trapped patients from cars – a task where time and efficiency is a top priority and can make the difference between life and death. 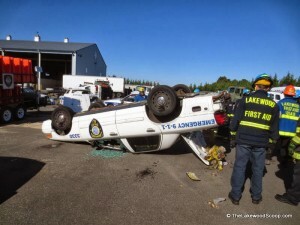 There are 2 Comments to "PHOTOS: Lakewood First Aid Conducts Extrication Drill"
Too many white helmets. I’m confused, who’s in charge. I thought only the Captain of the First Aid Squad wears the white helmet.